To us, Christmas should be a year-round event. We love the vast variety of lights that twinkle, chase, and even change colors to invoke the Christmas spirit. Yet choosing the perfect string of lights can become an overwhelming decision-making process. To make your Christmas tree-- mantle, doorway, dog, and even an elf hat or two—shine brightly with good cheer, here’s everything you need to know about all the types of Christmas lights available. Easing into the immense array of lights, the first part of our guide will cover the basics: Mini String Lights. They are the inexpensive and well-known light strings of your childhood. 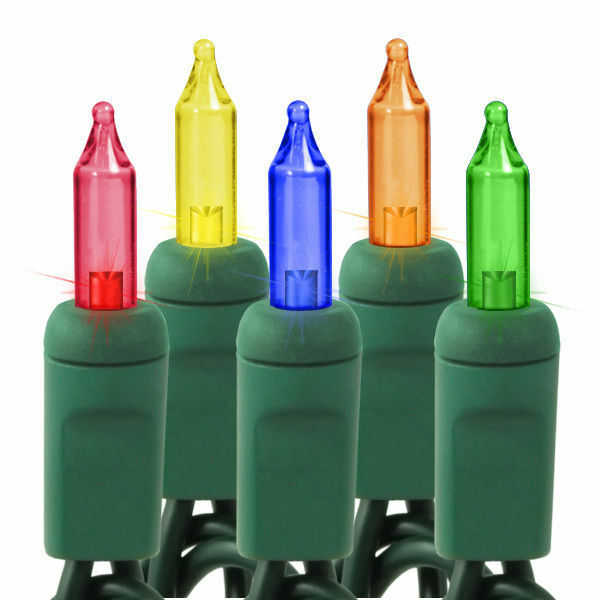 Incandescent mini string lights come in a variety of lengths and colors, all featuring your standard built-in plug. The green twisted wire and the smooth colored caps provide a cozy multi-hued glow, creating traditions that last a lifetime. However, there are some traditions worth letting go of, like the hunt for the crafty burnt out bulb or the search for an available electrical outlet. Incandescent string lights have beloved but quirky habits when it comes to power usage. 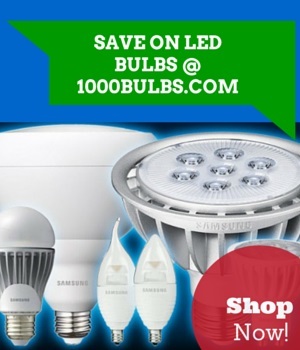 For instance, you always want to examine the box, checking for A) the maximum number of sets that can be connected end-to-end and B) to confirm the existence of spare bulbs and fuses. According to UL listings, the rule of thumb for the maximum number of connections is 3 sets end to end, for lights with 22-gauge wire or 6 sets if using the thicker 20-gauge wire. Once you have your three sets of lights, the spare bulbs and fuses come into play. Incandescent mini string lights operate either 2.5 or 3.5 volt bulbs. You cannot mix and match these bulbs unless you like burnt out strings and no lights at all. For a similar reason, you cannot connect light strings with different numbers of lights together. Example: Don’t connect a 100-light set to a 50-light set. The 50-light set will burn out prematurely due to the difference in current being drawn by the 100-light set. Those are common rules to remember, but you can find more advice for Christmas lighting in our article, The Do’s and Don’ts of Outdoor Holiday Lighting. Shimmering Spot – Originally, LED Christmas lights were only designed with a small dome-shaped cap. This shape focuses the light straight out of the rounded tip while also releasing some light in a 180-degree angle. The result is a very concentrated light and a unique "twinkling” effect as the lights sway gently when viewed from afar. The effect is compared to dozens of tiny flashlights, blinking on and off. Due to the brightness and intensity of these lights, this particular style of mini light works better outside or on very large Christmas trees, especially if you plan to sleep at night. Wide-Angle – In response to shimmering spot LED mini lights creating a laser show in your living room, designers drilled into the rounded covers to create a concave shape. This reduces the spotlight effects of the LEDs, spreading the light more evenly across the 180 degrees. Faceted Shape – The traditional incandescent cap cover is cut with a prismatic or crystal-like pattern. The faceted cap softens the light while maintaining the rich color of the LEDs. Traditional Shape – Traditional-shaped LEDs bring you savings through energy efficiency and allow you to keep the classic look of incandescent mini lights. However, the smooth colored cap can result in overly bright, undispersed light when adding them to your Christmas tree. Mostly commonly built with green wire, both incandescent and LED mini lights could use brown, black, or white wire as well. The variety of colors is also similar. You can use champagne-colored LED mini lights for your wedding reception or try red, white, and green incandescent mini lights for more festive Yuletide greetings. Need more tips? Read our Holiday Lighting Guide Overview for more advice. Our next installment will cover battery-operated and some types of outdoor string lights. If you have more curious questions, suggestions for string lights during the other 364 days of the year, or have the most epic Christmas light display EVER, please leave your comment or link to your photos in the area below. Every day is a great day for lighting on our Facebook, Twitter, Google Plus, LinkedIn, or Pinterest. The 1000Bulbs staff believes you can never have too many lights, so have fun and make sure to distract your neighbors with gingerbread cookies while your backup generator is being installed.